As Award Season gets underway in Hollywood, selected artists begin dusting off their mantles in the hope of nabbing a Golden Globe or Oscar. Film critics post their list of favorites, studios promote their gold standard projects and devoted fans prepare to enjoy the Red Carpet festivities. 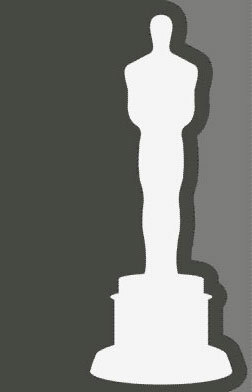 Before the immediacy of social media that led to the 24 hour news cycle, serious Oscar controversies rarely surfaced, in part due to the Hollywood Golden Rule of "You Talk, You Walk". That left only the occasional minor spat between two stars (usually from different studios) or two actors nominated for the same category from the same film to report. The iconic film All About Eve, 1950, saw co-stars Bette Davis/Anne Baxter nominated for Best Actress AND Celeste Holm/Thelma Ritter both for Best Supporting Actress. None of the four actresses won, but fellow actor George Sanders took home a Best Supporting Actor trophy. A lot of ink and a fascinating book, All About All About Eve, by Sam Staggs, were the results. The current glare of social and political awareness now brings a different type of Award Season minefield that is decidedly more volatile and less entertaining, yet more important for promoting more positive industry standards. For the past several years, hashtag campaigns have raised the issues of racism and sexism in Tinsel Town during that peak time of trophy madness. Debates continue to swirl about the disparity in hiring more female directors and screenwriters, nominating more actors of color (#OscarsSoWhite) and the continued practice of racially whitewashing roles (#StarringJohnCho/StarringConstanceWu). But this year the touchy subject of sexual abuse fogs the Oscar award runway. 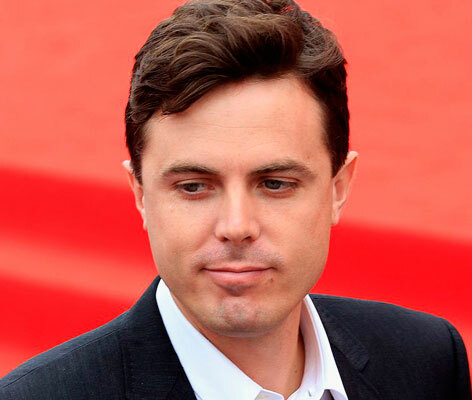 Entertainment writer Amy Zimmerman wrote a revealing article for The Daily Beast in November, 2016, entitled Casey Affleck's Dark Secret: The Disturbing Allegations Against the Oscar Hopeful. Ms. Zimmerman detailed the systematic sexual harassment of two female professionals on the set of his 2008 film, I'm Still Here. Producer Amanda White and Director of Photography Magdalena Gorka gave lengthly testimony in their 2010 legal suit against Affleck, citing multiple incidents of verbal threats, bizarre behavior and refusal to pay them for their work during the course of the project. Pre-Oscar buzz has been active for months and having been a huge fan of Affleck, I looked forward to seeing Manchester by the Sea, only to read Ms. Zimmerman's article on November 23, the same day that the screener hit my mailbox. Sigh. No, I did not see it. Like Woody Allen, Roman Polanski and other male sexual predators in the industry, I have zero tolerance for patting the Good Old Boys on the back while shaking my head and shrugging my philosophical shoulders. And yes, I do draw the line at giving them - and by extension, their actions - validation, in the form of professional praise, creative projects and awards. Often an artist's background and life struggles are cited as defining facets that shape their genius and creativity. I can't separate an artist's work from their personal life, because many times they themselves will proudly point to their 'suffering' as having enhanced their projects. So to me, the artistic and personal are forever fused. Mr. Affleck was not an innocent - nor unaware - and certainly didn't cite any drug or alcohol abuse as reasons why he targeted two women in a systematic pattern of sexual intimidation. This speaks volumes to me about how he views women and so taints any opportunity for me to take him seriously as a responsible artist. It's interesting to note that when a male director, star or studio head is involved in committing such a crime, the suffering of the victim(s) are conveniently forgotten or minimized in favor of showing support for the male perpetrator. Apologists trot out the stellar resume, enablers claim not to know the 'details' of the issue - and so everyone can conveniently remain silent - and safely employed. And since Hollywood work standards have remained largely unregulated, it's easier to get away with racial and gender-related discrimination. The code of silence is only lifted when there is an Oscar boycott, with a trending hashtag or colored ribbons sported on the red carpet. Only when Hollywood's system of inequality is exposed does the entertainment industry momentarily taking notice - until the next year. It's vital that this pattern of male privilege be challenged - loudly and often - until the industry refuses to tolerate such behavior. Male entitlement continues to flourish as a result of not challenging the status quo for permanent change. I choose to show my support for Amanda White and Magdalena Gorka - and the larger issue of sexual abuse - by boycotting Casey Affleck's cinematic projects. If the Hollywood entertainment industry ever establishes a program to protect its workers from sexual abuse, then I might reconsider viewing Manchester by the Sea. Amy Zimmerman. (November 23, 2016). Casey Affleck's Dark Secret: The Disturbing Allegations Against the Oscar Hopeful. TheDailyBeast.com November 23, 2016.